(Newser) – Every good writer gets rejected, and JK Rowling may know that better than most. 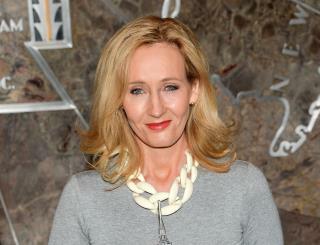 Despite selling 400 million copies of her Harry Potter books, she still had trouble getting her 2013 novel The Cuckoo's Calling published under pseudonym Robert Galbraith. In fact, she got some pretty "cringe-worthy" rejection letters, and posted two to Twitter on Friday to inspire other writers, per the Telegraph. In one, Constable & Robinson notes it "could not publish [the crime novel] with commercial success." An editor advised Galbraith to read the Writer's Handbook, learn how to write an "alluring" blurb, and noted "a writer's group/writing course may help," report the BBC and the Guardian. This the problem when getting stuck doing series. It is becomes a hard transition and even hard to accept that it would be. I got this book when it came out and never finished it because it was cliche and boring. They couldn't give it away until it was leaked that she was the author and then it became a best seller.